IMT CO. is one of the leading packing, freight forwarding and project handling organizations in Pakistan. We deal in the movement and trading of all sorts of goods within the country as well as outside the country on our international circuit. We specialize in project handling movement of heavy equipment and packing & forwarding of household goods on door-to-port as well as door-to-door basis, amongst other services we are also manufacturing Prefab houses, Containers, Portacabin. We have been in this field for over three decades and among our various other clients, we are also rendering services to Oil field, telecommunication field, diplomatic missions and organizations affiliated with UN. We have to our credit a proven track record and all the necessary expertise to handle any volume of business to the fullest satisfaction of our clients. IMT CO. offers following specialized services to assist you in smooth and efficient re-location of your personnel and equipment. Custom clearance of all in-coming shipments from Karachi air/sea-port, Lahore Air/dry port, Islamabad air/dry port and Gwader Sea port. 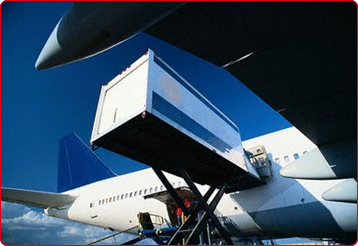 Transportation from air/sea port to final destination or project site. Re-export of equipment by air or sea. Packing and forwarding of household goods from Pakistan to any destination in the world. Transportation of all sorts of cargo within the country. Provision of trucks, trailers, cranes forklifts etc as per your requirement. We have a team vastly experienced in the field of custom clearance and forwarding of goods dedicated to looking after all of your requirement in the utmost professional manner.